I don’t give a **** about smash updates till they confirm Lloyd and I slept on BotW cuz I don’t super like open world games BUT LINK’S AWAKENING FOR SWITCH???? Super pumped for Link's Awakening. Already planning on buying FFIX later tonight and playing a few rounds of Tetris 99. Extremely happy they're doing Super Mario Maker 2. Yoshi and Fire Emblem both look excellent. Disappointed with the lack of Animal Crossing news, but I'm holding out hope for an upcoming Animal Crossing Direct. Disney Tsum Tsum, whatever that is? To repeat what I said in the Discord, Rune Factory 5 and Astral Chain have me super excited. It's way too early to tell if AC can hold a candle to NieR Automata's story, but it at least looks to have very similar gameplay, and that's enough for me to have a great time. I don't think I'll play it again, but Hellblade is a phenomenal experience for anyone that missed it before. Three Houses reminds me a lot of Trails of Cold Steel, which is both a good and bad thing since that series already has a new game and two ports coming out this year. That's gonna be a lot of military school RPGs for me. I saw the thread title and poster and assumed Lloyd was already confirmed. Here's the trailer, if you haven't seen it. The remake looks gorgeous and I'm so excited. Since this seems to be the topic for the DIrect as a whole, I enjoyed it. FE, Zelda and Mario Maker have me pumped. I've considered getting DQXI and it's clear the Switch version is the one to get (the 16-bit idea is super fun). 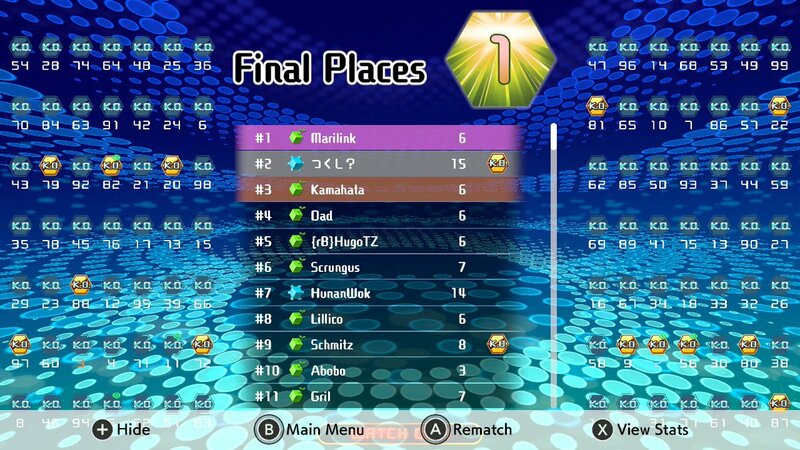 Tetris 99 is fun multiplayer Tetris. I'm excited to play Yoshi and Daemon X Machina demos later, though I dunno if I'll get either. Astral Chain looks interesting. Bummed there was no AC content and Smash was only briefly mentioned. Makes me think AC is very prominent around E3 time and Smash might get a short Direct before 3.0 drops. Based on ML's list, the only new games announced that interest me much are Zelda and Mario, but that's still really good (I'd prefer an entirely new Zelda though...). I want to care about Square's new RPG but I can't because I don't think they can interest me anymore outside of old ports. I'm not in love with the remake's art style (obviously it's to emulate the original style but it looks a lot more uncanny in 3) but I'm just glad to see another 2D Zelda. DxM and Astral Chain look sick. I think the art style is okay but there's something off, everything kinda looks like shiny toys. If they polish it a bit I will like it. The game seems great though, and hopefully they re-use the engine for the Oracle games next. I love the art style. It almost looks like claymation hahaha! I guess it's growing on me, watched the trailer a couple more times. I'd still prefer something a little more like the cutscenes. I am not so bad at Tetris as I am at SSBU. Trailer would have been improved by the real intro theme, but otherwise, I'm pretty damn hype. WindFish is COMING. How much of the weird Nintendo cross promotional stuff are they going to keep in in LA?